Say hello to summer! We&apos;re encouraging visitors and residents alike to get outside and take advantage of the Raleigh area&apos;s incredible sports and recreation opportunities during these long, warm-weather days. Falls Lake State Recreation Area, a 12,000-acre reservoir just north of Raleigh and nestled up against Wake Forest, provides plenty of recreational opportunities—fishing, boating, swimming, camping, biking and hiking across more than 14 miles of trails and more. 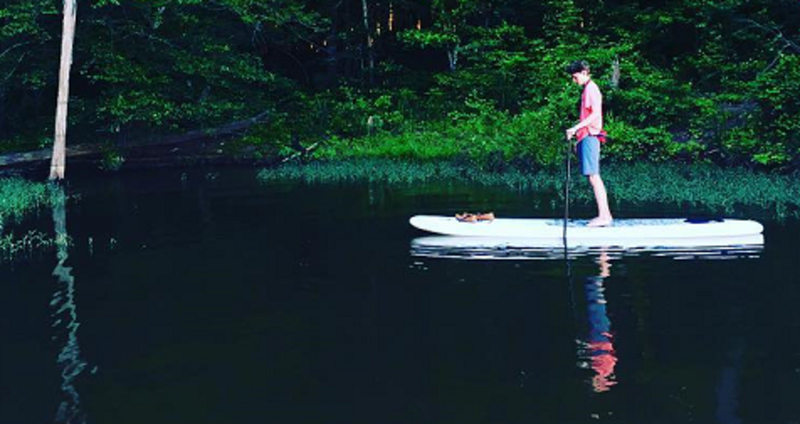 Our #visitRaleigh photo of the week comes from Instagram user @mcknightmarketing, seen here taking a relaxing stroll across the water on a stand-up paddle board. We can&apos;t think of many better ways to spend a summer evening in Raleigh, N.C.!